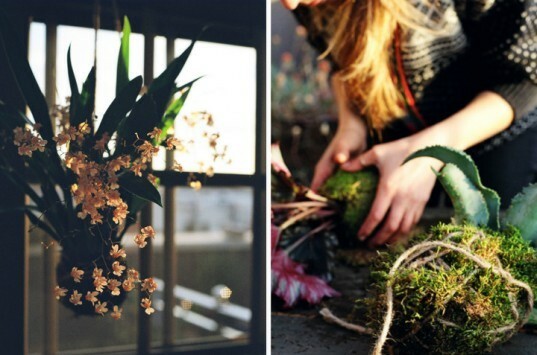 Living in a tiny apartment doesn't mean you need to forego plants and gardening -- there are dozens of ways to add greenery to brighten up your space. Kokedama, a style of Japanese bonsai, offers a beautiful and low-maintenance option that any urban gardener can master. 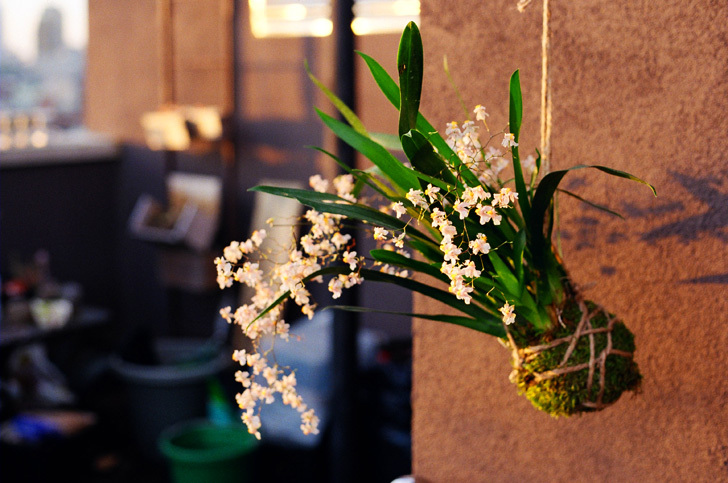 Translating to "moss ball," kokedama are made by removing your plant from its pot and placing it in a ball of soil held together with moss and string. 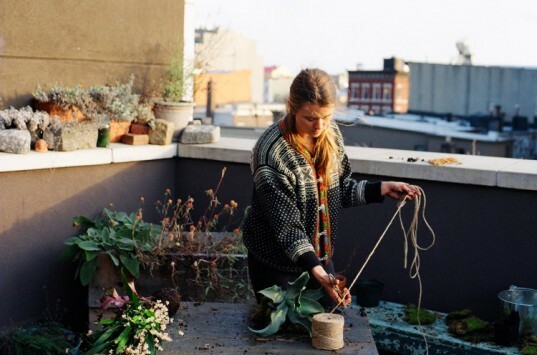 Wilder Quarterly, a new Brooklyn-based magazine geared toward contemporary gardeners and growers, shared with us the simple step-by-step instructions to make this elegant hanging string garden. Wilder is also offering Inhabitat readers a 15% discount on subscriptions or single issues - find the code and discount details after the jump! – Sphagum moss soaked in water. “Sphagnum moss is important because it holds water like a sponge and guarantees that the roots of your little Kokedama will stay moist,” says Patterson. To see this full printed article, order a copy of Wilder’s 2012 Winter Issue here. Wilder created a special discount code for Inhabitat readers. The first 100 readers to use WQ02 upon check-out will receive a 15% discount on either a single issue or one year subscription. Wilder donates a portion of the subscription price to support the Fresh Air Fund, a not-for-profit that provides free summer camp experiences to more than 1.7 million children from disadvantaged communities. Step by step instructions created by Taylor Patterson and photos by Rory Gunderson for Wilder Quarterly. Text and photos used with permission. Gently knock the soil from the roots of your plant. This is easier to do when the soil is somewhat dry. If the roots are tightly wrapped around themselves, gently massage them until the soil loosens up. 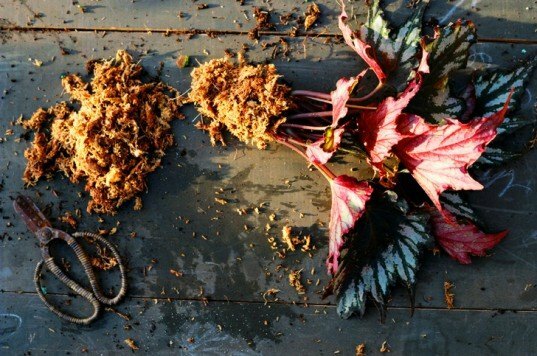 Wrap the roots with sphagnum moss and squeeze out any excess water. Then neatly wrap all of the sphagnum moss around the roots and tie it together with the cotton thread. Eventually, the thread will disintegrate and the roots will spread through the moss into the soil. Shape your soil mixture into a ball about the size of a grapefruit. Patterson notes that you should use your best judgement when shaping the ball, as plants vary in sizes. Break the soil ball in half and sandwich the roots between the two pieces, reshaping the ball around the roots. Add more soil if it’s not holding its shape. Cover the ball with the sheet moss, making sure your twine is nearby. 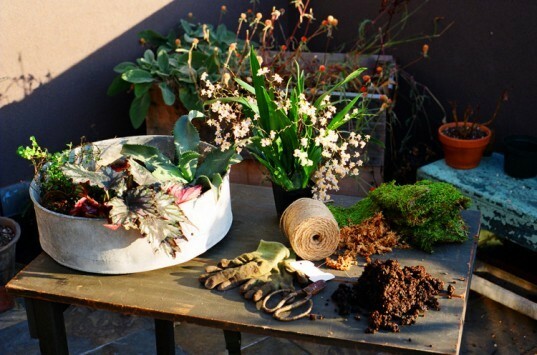 As you wrap the moss, secure it with the twine as you go. Continue to wrap the moss and twine until the ball feels secure. Don’t forget to make a longer, handle-like piece so you will be able to hang the plant. Hang the plant and admire your beautiful work! Soak the plant for 10-15 minutes in water once a week (twice a week for ferns). Fill a buck with about 2 cups of water, place the string garden in the bucket and wait for it to absorb all of the water. Let the garden drain in a sink until it stops dripping before rehanging. I can't imagine how an orchid would fair in soil, even fast draining soil. I've seen a few pictures online of phalaenopsis and oncidium kokedama but no explanations on whether they hold up well or eventually suffer from root rot. Any idea? Nice article. Bonsai soil media is not Akedama, it's Akadama. Cover the ball with the sheet moss, making sure your twine is nearby. As you wrap the moss, secure it with the twine as you go. Continue to wrap the moss and twine until the ball feels secure. Don't forget to make a longer, handle-like piece so you will be able to hang the plant. Step 7 Hang the plant and admire your beautiful work! Soak the plant for 10-15 minutes in water once a week (twice a week for ferns). Fill a buck with about 2 cups of water, place the string garden in the bucket and wait for it to absorb all of the water. Let the garden drain in a sink until it stops dripping before rehanging. To see this full printed article, order a copy of Wilder’s 2012 Winter Issue. Wilder created a special discount code for Inhabitat readers. The first 100 readers to use WQ02 upon check-out will receive a 15% discount on either a single issue or one year subscription. Wilder donates a portion of the subscription price to support the Fresh Air Fund, a not-for-profit that provides free summer camp experiences to more than 1.7 million children from disadvantaged communities.